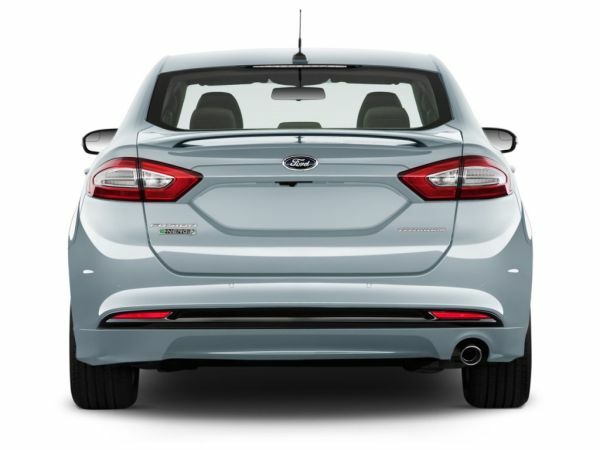 2015 Ford Fusion is a mid-sized sedan with a lineup of efficient engines. The car has seating capacity of 5 and is a delight to drive. It is available in three trims –S, SE and Titanium. Well-sculpted body of the vehicle is graceful in a single word. The sleek lines spell agility and great thoughtfulness about making it aerodynamic. The robust hexagonal front grille makes it stand apart. Technological edge is clearly visible due to the LED taillamps and laser-cut projector headlamps. The exterior is definitely stylish. It is 191.7 inches long, 72.9-83.5 inches wide and 58.2 inches high. The attractiveness extends to the interior also with high-quality luxurious material having been used all over the inside of the car. Technology has been combined beautifully with looks here. Because of the longer wheelbase, legroom is definitely abundant. The supportive, comfortable front seats are slimmer and stronger making wider space for the back seats. Nice headroom is available if you do not get the optional sunroof. Noise muffling has been achieved greatly and the opening and closing of the doors do not produce any annoying sounds. Nothing to complain about the storage area because you get bottle holders in the doors, stow area beneath the center stack and good-sized glovebox. Also, 16 cubic feet of the trunk size is highly satisfying. 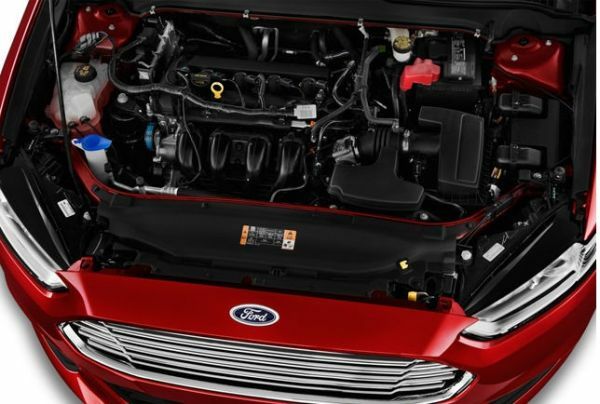 As compared to the kind of engines offered in the previous versions of Fusion, the present model has a simplified row of units. The base engine available in S and SE is the 4-cylinder 2.5 liter that generates 175 hp @ 6000 rpm and torque of 175 lb.-ft. @4500 rpm. 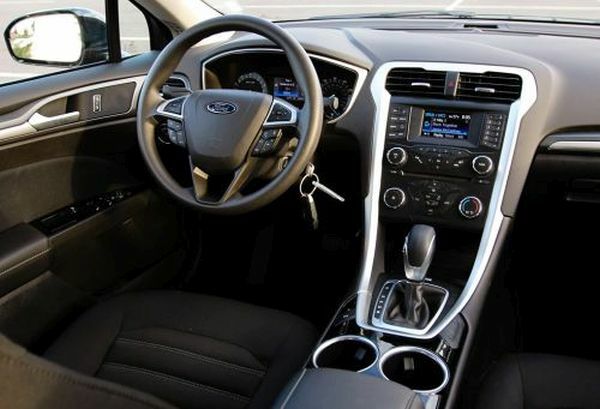 It gives mileage of 22/34 mpg for city/highway and is integrated with 6-speed manual transmission. The other engine is the 1.5 liter turbo four EcoBoost that is smaller in size and has automatic transmission. It offers mileage of 23/36/28 mpg for city/highway/combined. The Titanium has direct injection 2.0 liter turbocharged four that is mated with 6-speed automatic and has both front and 4-wheel drive. Mileage available from this engine is 22/33/26 mpg for city/gas/highway. The base price of this car is $22,500 while the SE trim costs around $24,035 and the Titanium is priced at $30,780. The vehicle will grace the US market in 2015. This mid-sized sedan has an elegant and a masterful body along with a richly done, technologically-enhanced interior. 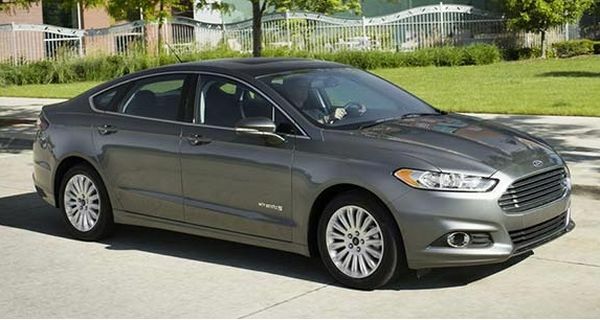 Available in 3 trims, 2015 Ford Fusion is offered at a starting price of $22,500.